Well I can't remember If i have made a thread for this or not but here it is none the less. This is pretty much a Heavy edit to the DBS with some better features,as well as being very easy to customize for many add-ons. This script is also easy enough for even those new to making scripts in RMXP to use. ( mean heck after getting help from those in the credits below) I managed to pull this off. You will need to replace Window_Skill with this, it contains edits to them that make them work with the CBS if you are using Blizzards RO Skill/Class change script. Should be compatible with most scripts without error. As for SDK I am not sure as of yet. Nortos, For helping and instructing me along the way. Yin, For helping solve the compatiblity issue it had with Blizzard's RO Skill/Class change script. G_G, for helping me getting it to work right with his Skill Category script. If I have forgot to mention anyone please let me know. I suggest you use Ton of Addons with this script for the Font Size, Bars, and Status Icons to make it look better. Please have fun with this script and report any bugs/issues you may encounter. If you all want I will list some of the extra stuff I use to make the look pretty,just let me know. And there will be errors for this is my first major script. I will try to update it as much as I can. yeah I'll work on improving don't worry bout that. Just wanted to share it with people. EDIT: Does that look better? @actor_command_window.new_items($game_party.actors.generate_commands)Both the methods new_items and generate_commands are nowhere to be found in the script. Also, what's the purpose of the class Window_Command_New? Nothing calls it. @actor_command_window.new_items($game_party.actors.generate_commands) I removed that line and the whole Window_Command_New class and did not notice anything messing up or out of place, They may have been from something that I use to use and had removed at some point. I really can not remember what I had removed that used those for the life of me, glad you pointed that out, I am looking into what had used those, because if they are removed I did not notice anything out of place and everything still worked as it should from what I tested. EDIT:also I am in the middle of fixing something that I have noticed and in the middle of fixing now. EDIT 2: I should thank you KK20, if I had not started looking through my scripts I never would have noticed a big goof I had done. 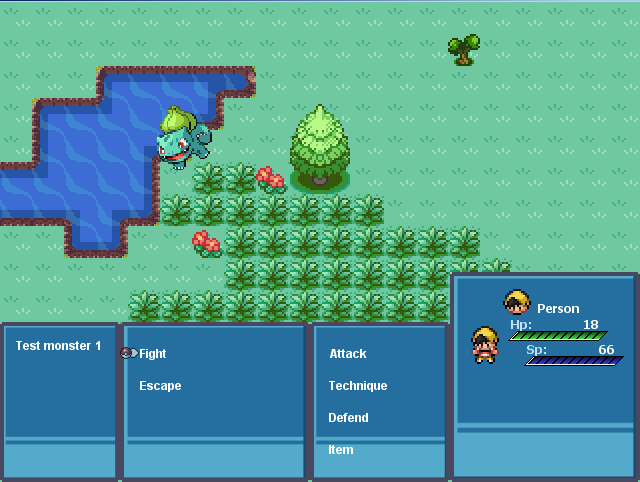 That was left over from my script to get it to work properly with my Skill Categories. You can add something to your script to see if my script exists. And that's that. That's all that requires you to get the Skill Categories script functioning properly.